Tattoo collectors born between June 21st and July 22nd often choose a Cancer zodiac tattoo to further express their individuality. If you're interested in a Cancer tattoo, it may help to learn more about this astrological sign and its place in tattoo culture and design. 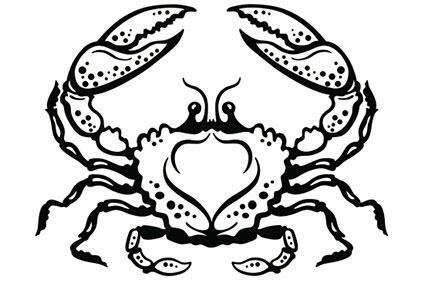 Symbolized by the crab, Cancer is the fourth astrological sign and originates from the constellation, Cancer. People born under this sign usually exhibit a wider range of personality traits than people born under other signs, but overall, Cancers are stable, nurturing, sensitive, and caring. 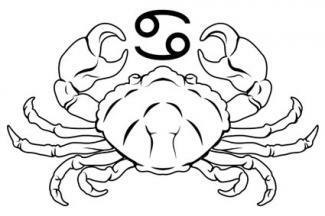 Like the crab that represents them, Cancers tend to protect their inner softness by presenting a hard veneer to the outside world. They typically place a high value on traditions, home life, and taking care of their loved ones. When a Cancer's need to nest and nurture goes unmet, they may revert to the less pleasing traits of their character such as negative outbursts, dark moods, and over-sensitivity. With their deep appreciation of art and beauty, tattoos are a logical choice of personal expression for Cancers. Even so, it's important for the Cancer to consider his tattoo options carefully so as not to be dissatisfied with the results after the fact. A zodiac tattoo in an artistic style will probably satisfy the Cancer's exquisite sensitivity to her surroundings. There are many elements to the astrological Cancer sign and any one, or a combination of several, would make a beautiful tattoo. The glyph that represents Cancer looks like the number 69 turned on its side. Throughout history, the origin of the glyph has undergone somewhat diverse interpretations. Some people believe it represents the nurturing areas of anatomy that Cancer governs while others attribute its form to interlaced crab claws. The first interpretation reinforces the sustaining nature of the Cancer and the latter interpretation speaks to his emotional duality. 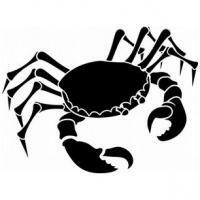 Either interpretation can help make a Cancer zodiac tattoo design that allows individual personality to shine. In Greek mythology, Zeus's wife, Hera, summoned Cancer the Crab to aid the serpent, Hydra, in a great battle with Heracles. Heracles was the offspring of Zeus and his lover, Alcmene, which angered Hera to the point of murder. Heracles killed Cancer during the battle so Hera placed Cancer's image in the night sky as a reward for his valor. Mythology and astronomy as rich in tragedy as Cancer's story provide inspiring ideas for tattoos such as the ones below. The great crab itself placed in a prominent location makes a solid statement about the loyalty of the Cancer individual. A depiction of Cancer the Crab in his death throes under Heracles' heel might make a good design for a shoulder tattoo. The ultimate Cancer tattoo might be the battle scene between Cancer, Heracles, and Hydra. This would make an arresting full back design. 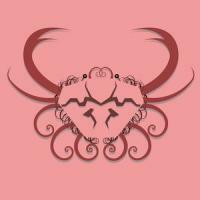 In terms of astrology, the Cancer constellation is somewhat stark and simple, but when those stars integrate a crab illustration, it becomes a meaningful work of art. 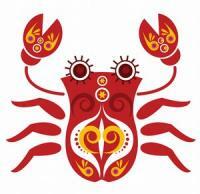 A combination of the glyph, the crab, and the constellation never fails to make art that conveys personality. Zodiac signs are about not only glyphs, symbols, and constellations. There is a wealth of other elements involved in their total make-up. This is great news for the serious zodiac tattoo collector because it means that these elements can go into the design of the tattoo. Planets rule all aspects of zodiac signs. By integrating Cancer's planets into your tattoo design, you'll end up with an unforgettable and vivid design. Below are the planets associated with Cancer. Creative types can get original by adding the natural elements associated with Cancer to their tattoo design. When it comes to the zodiac and tattoos, your only limitation is your imagination. Get together with your favorite tattoo artist and start designing your own Cancer zodiac tattoo.